Well I didn’t get my piece finished 😦 August just kind of crept up on me, plus I had some special orders to do. But I did get all the materials gathered and get it started so here is what I got. 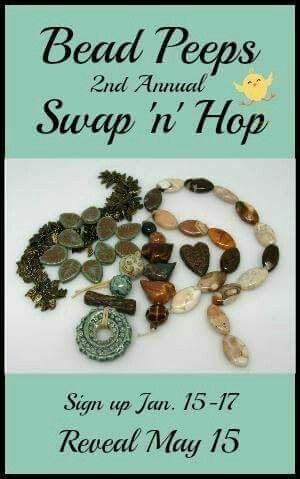 When Melissa posted the Hop a few months ago I was excited bc I collect weird objects: rocks, feathers, sewing bobbins, buttons, bicycle chain etc. You name it and I probably have it in my collection for “maybe I’ll make this into jewelry someday”. I have this mason jar of buttons I picked up from an antique store a few years ago, mostly vintage buttons, some plain, a few unique. This hop seemed like the perfect chance to use them. I found the zipper at a craft store a few days after the Hop announcement and my ideas just stemmed from there. 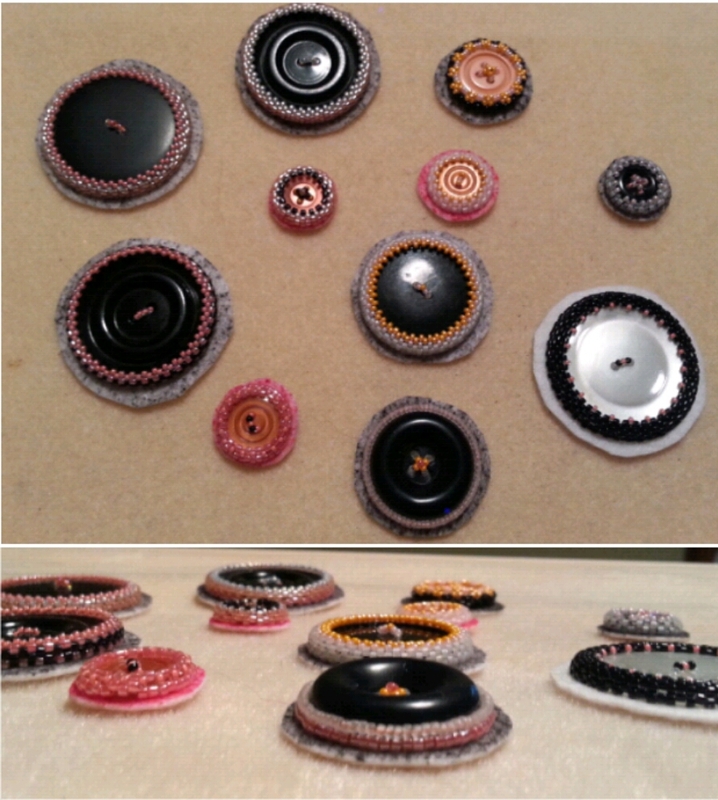 All buttons will be bezeled and edged individually then attached together to form a bib like necklace. 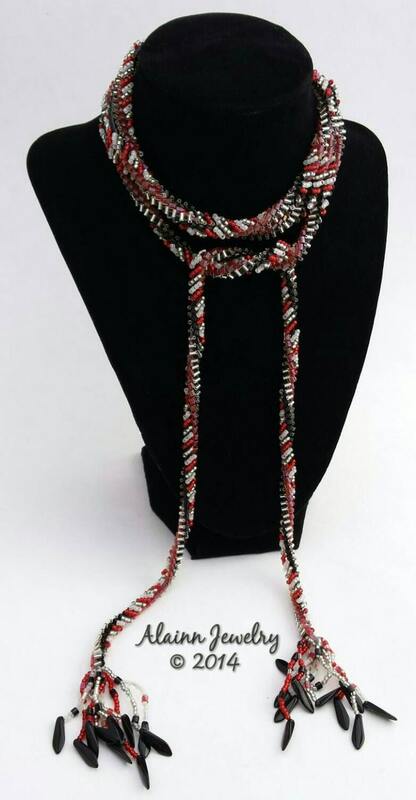 The zipper will be workable and act as the clasp as well. I’m hoping to be able to finish up in the next few weeks…..thanks for stopping by to see my (unfinished) piece! I’m sorry you didn’t have time to finish before the reveal. Your design idea sounds A-mazing! Not to mention incredibly creative and unique! You’re off to a wonderful start and I look forward to seeing the finished piece. I’m liking the color scheme you used with the buttons. The zipper as a closure sounds really intriguing. 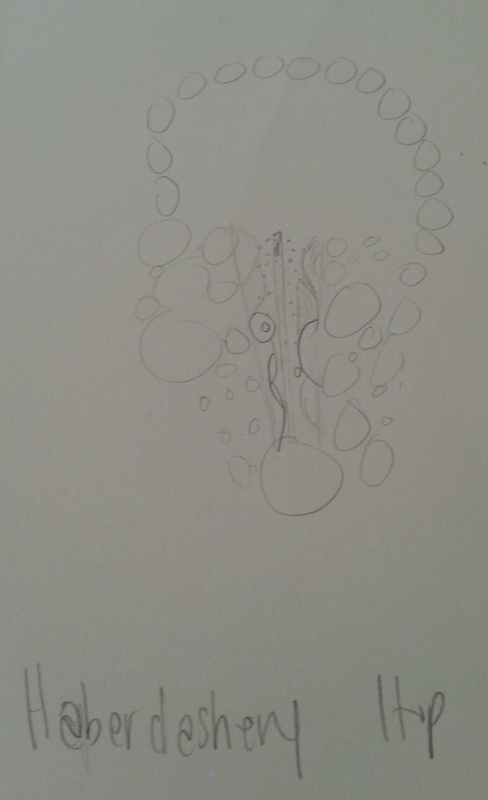 I look forward to seeing the final necklace. Have a fun August! This is going to be something! I can’t wait to see it finished. I’m always impressed when I see designers plan ahead, this is something I cannot do, but I’ll work on that. Thanks for posting your WIP! It’s fun to see people’s process – sketches, materials, finished bits. This looks like it will be amazing! I look forward to see your finished piece. Will come back regularly to check. Can’t wait to se your finished design, the way you plan to add the zipper sounds awesome. Following you because I must see the finished piece!! Thanks so much Karen M! Beady people are so supportive! Looks very promising! Can’t wait for the reveal! Totally looking forward to seeing your final piece — you have me intrigued! Thanks for joining in with my blog hop! Thanks for having me! 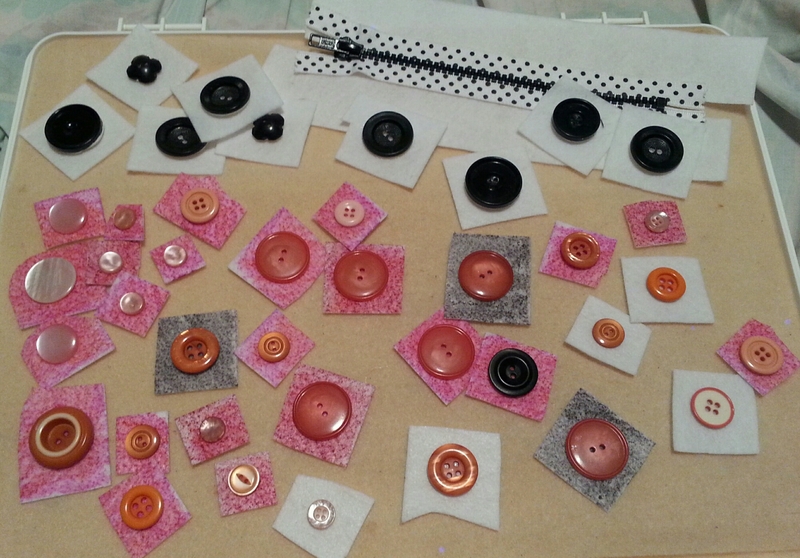 It was nice to finally have a place for all those buttons to go…and I didnt even use half of them! That’s a lot of work to do! And I loved seeing the process. Still a lot more to go! I picked the colors of the buttons bc of the pattern of the zipper, but now I’m trying to figure out the BE pattern to go with the zipper so it wont look weird….